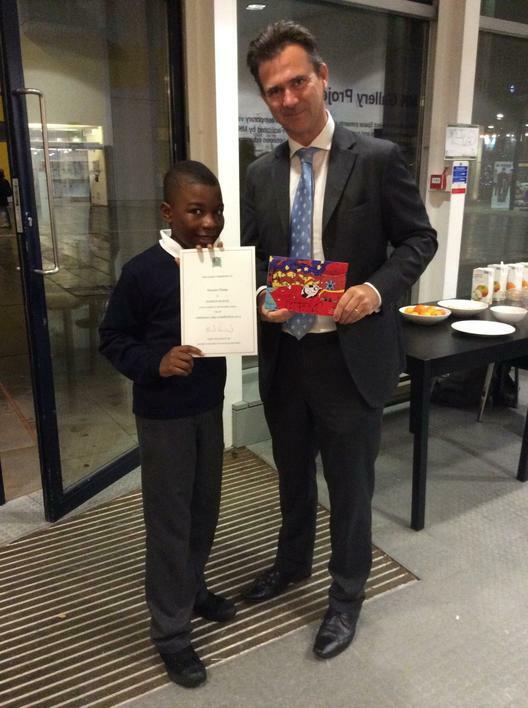 Congratulations to Vincent in Year 6 at Stanton School who designed the winning official Christmas Card for Mark Lancaster, MP for Milton Keynes North. Vincent’s winning card will sent out to hundreds of people including the Prime Minister and even the Queen! Entries were received from Year 5 and 6 pupils across Milton Keynes and were judged by MK NEWS and MK Gallery. Mark Lancaster said, “I am very impressed with the entries” and of course we are very excited to see Vincent’s design made into a real Christmas Card.